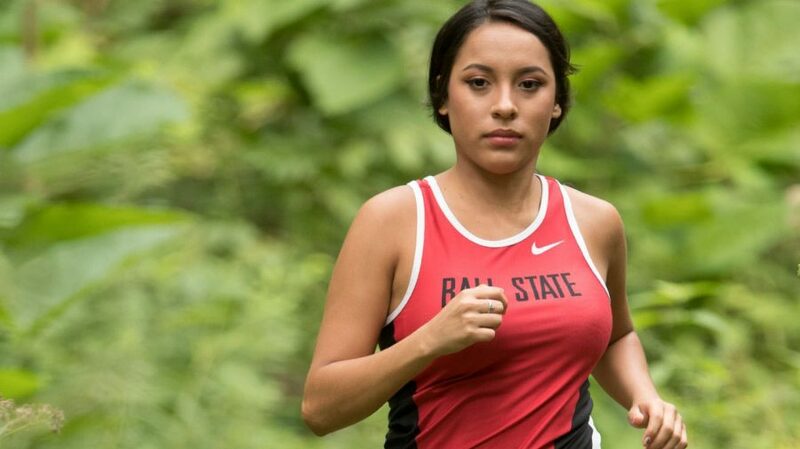 Meliza Rodriguez ran a career best 6K in 22:45.6, surpassing her previous best time by almost two minutes, to lead the Ball State runners at the 12 team Mid American Conference Championships. 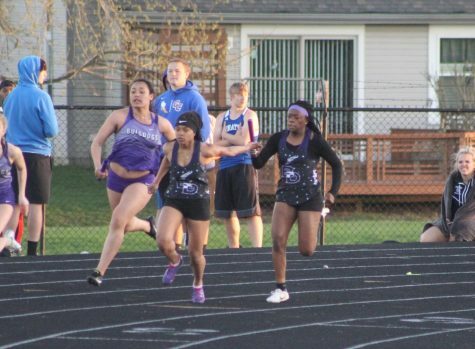 She finished 56th of 84 overall for the 11th place Cardinals. Maritza Rodriguez was 62nd in 22:54.3. Starting wide receiver Kyle Castner carried the ball once for three yards for Columbia (4-3, 1-3) in a 17-10 win against Yale. Demarco Henry rushed 10 times for 32 yards for DePauw (3-5) in a 20-19 loss to Allegheny. Eastern Kentucky (4-4, 3-2) defeated Eastern Illinois 31-23. Alphonso Howard passed four times, completing all four, for 67 yards and one touchdown. He carried the ball once for six yards and was sacked once for an eight yard loss. Howard has played in seven games for EKU and has completed 21 passes in 39 attempts for 258 yards, with two touchdowns and two interceptions. The sophomore transfer from ASA Junior College in Chicago has carried the ball 36 times for 143 yards and two touchdowns. 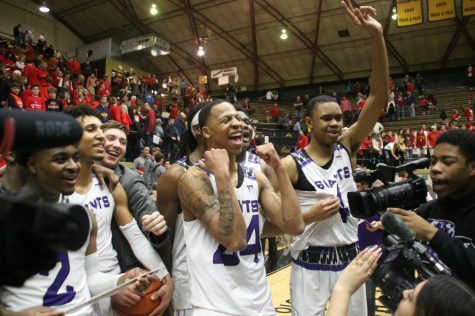 Teammate Azjai Cooper also played in the win against Eastern Illinois. Grand Valley (8-1) won 31-28 against Saginaw Valley. Starting strong safety Jailyn Harden had three solo and three assisted tackles and broke up one pass. In 4-3 Hampton’s 51-28 win against Virginia-Lynchburg, starting defensive tackle Norman Oglesby had three solo tackles and assisted on two others. Hanover (5-3, 5-1) suffered its first Heartland Conference loss 19-15 to Mount St. Joseph. Marcus Dunbar had one solo tackle and two assists for Hanover, and teammate Tyree Upchurch assisted on a quarterback sack. Minnesota (4-4, 1-4) defeated Indiana (4-5, 1-5). Esezi Otomewo had one solo tackle for the winners. The Hoosiers’ Reese Taylor caught two passes for four yards. Starting linebacker Harrison Goss assisted on four tackles for Kentucky State (0-9, 0-5) in a 34-23 loss to Lane. Asmar Bilal started at defensive rover for Notre Dame (8-0) in a 44-22 win against Navy and had one solo tackle. Elijah Ball saw action for Purdue (4-4, 3-2) in a 23-13 loss to Michigan State. Noah Thomas carried the ball eight times for 120 yards, including a 42 yard TD run, and caught five passes for 43 yards and one touchdown for Rose-Hulman (4-4, 4-2) in a 35-6 defeat of Defiance. Dallas Pitts had two solo tackles and assisted on another for Wabash (7-1, 6-1) in a 28-21 defeat of previously undefeated Wittenberg. Starting cornerback O’Shea Heard had five solo tackles, broke up one pass, and recovered a fumble for Walsh (2-6, 2-4) in a 24-16 loss to Findlay. Kevin Guillory assisted on one tackle for Western Michigan (6-3, 4-1) in a 51-24 loss to Toledo. Running for Franklin in the 8K Heartland Conference Championships, Matt Lee was 87th of 97 competitors in 33:43.3. Spring Arbor (17-11, 8-10) lost 3-0 to both Marian and St. Francis and won 3-0 against Goshen. Alyssa Walker played in five of the nine sets and had two kills with no errors in eight attempts, two digs, two service aces, and one assisted block. Franklin (8-9-1, 5-4) lost 2-1 to Transylvania and 4-1 to Mount St. Joseph. Taylor McDaniel had one shot on goal in each match for the Grizzlies. Greenville (13-5-1, 6-2-1) defeated Spalding 2-0 and Eureka 13-0 in a match shortened to 70 minutes. Haley Reeser played 51 minutes in the Spalding win and only 19 minutes against Eureka. However, she had four assists and one goal on her only shot in her 19 minutes. Bethel opened its season with an 84-69 defeat of Siena Heights. 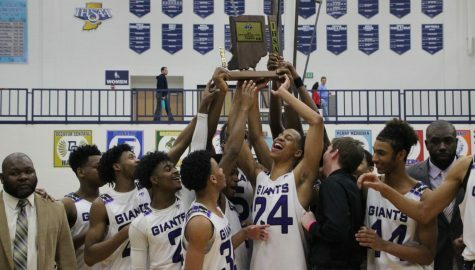 Juwan Carpenter played l3 minutes for the winners and had six points on three for three shooting, four rebounds, one blocked shot, and two turnovers. Division three Olivet lost an exhibition game to Division two Lake Superior by a 97-75 score. Shae Daniels played 17 minutes for Olivet and had eight points (2 for 6, 0 for 1, 4 for 6), one steal, and one turnover.